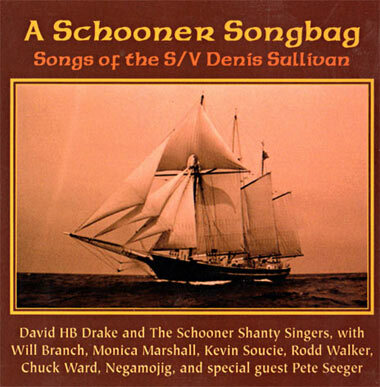 When the newly-built lake schooner Denis Sullivan was to be launched in 2000 as Wisconsin's flagship, Monica was among those tapped to provide a song. Click disc to hear Monica's song "The Sullivan"
An early, six-song effort was released on cassette, and includes four original songs, some of which would later be re-recorded with new arrangements.
" I was born and raised in Milwaukee, WI, and had already begun singing enthusiastically by age 5. I learned to play the guitar as a high school freshman, thanks to 2 girlfriends who taught me basic chords and picking patterns. Lessons were spontaneous and came at school during what was supposed to be study time, and around the crackling campfire with my sister Chris, who took us camping. We serenaded the woods with John Denver, Kenny Loggins, and Janis Ian. At that time, Bluegrass music, and John Denver had the greatest influences on me. My sister Judith as well, was a great source of inspiration. She too, sang with a clear, soaring voice, which I listened to, undetected, on the other side of her bedroom wall as she practiced behind a closed door. "My first performance was at the Coffe House on 19th and Wisconsin, in Milwaukee in 1986 or thereabouts. Summer of 1990 found me out at Lake MacDonald Lodge in Glacier National Park, singing the guests to sleep every Tuesday night. It was a welcome change from working the front desk all week. When the guests got all droopy-eyed and hunkered down into the soft chairs and couches of the historic lobby, I knew I had been successful. I moved to Knoxville, TN the following January. During the 4 years I lived there, I sang locally in various venues, recorded my first demo, and was part of a pilot radio show (The Mabry Family Radio Show) where I had the honor of singing with the Fairfield 4. I began songwriting in earnest during that time. "After living briefly in Nashville, I re-located to my hometown of Milwaukee in 1996, and have continued to perform in local pubs and coffee houses in the area. I have opened for Brooks Williams, as well as been a regular at Milwaukee Irish Fest for the past 4 years ('97 - '00). 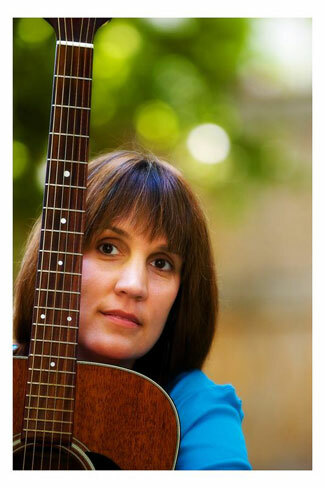 "My songwriting and style of singing has been deeply influenced by the celtic music. When I switched from standard tuning on the guitar to DADGAD tuning, my songwriting took a turn for the better. Stan Rogers and Kate Wolf, both whom have passed away, continue to be the artists who influence and inspire me the most. Of the living, Mary Chapin-Carpenter, Shawn Colvin, Nanci Griffith, and Julie Gold area a few of the many singer-songwriters I greatly admire. 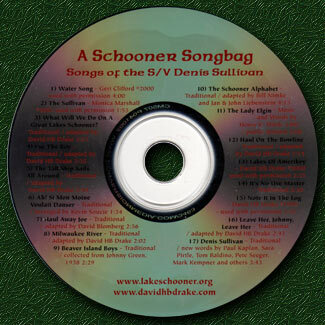 I perform a variety of cover songs from these and other artists, as well as my own work. "My greatest desire as a singer-songwriter is the tell the truth. "